Updated on 20th April 2010: This location is being closed. This is a complementary meal from Tangthai. OK, I admit. I am still on vacation mode! Suanne and I had a wonderful time the past three weeks in Spain on a Gastronomic Tour. We will share with you some of the wonderful experiences we had … and YES! … we tried El Bulli’s molecular gastronomy food … finally! More about that next week. Just the day before we left for Spain, Suanne and I were invited to a new restaurant which belonged to a friend of a dear friend. It was so new that it was just opened the week before our visit. 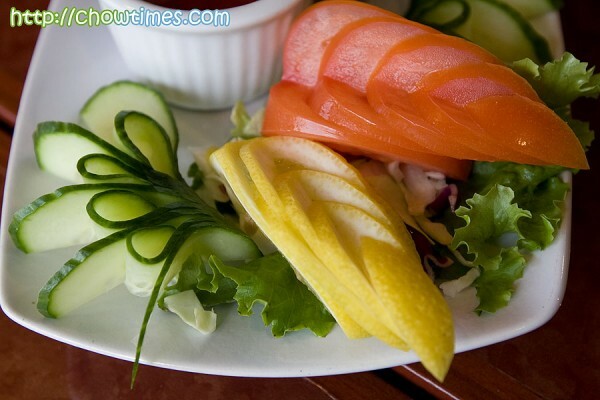 Tangthai is an offshoot of a very successful Thai restaurant in Edmonton called Padthai. Tangthai is located on Broadway near the intersection with Fir. Sonia is the person behind both Tangthai and Padthai. 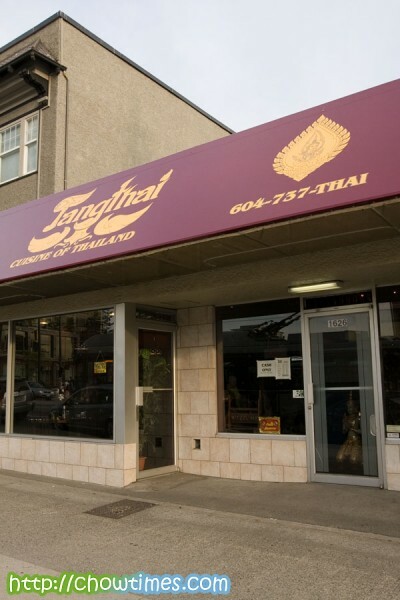 When Sonia decided to open a restaurant in Vancouver, she wanted Tangthai to be the better version of Padthai. Suanne and I were quite awe by the decor and ambiance in the restaurant. It was quite lavishly decorated with Thai art pieces … every single of which is hand picked by Sonia from Thailand. Each of the woodwork art pieces are unique and one of the kind. You can’t really see the carvings on the side of the table top from the picture above. They were designed by Sonia who had them hand carved for Tangthai and shipped from Thailand. 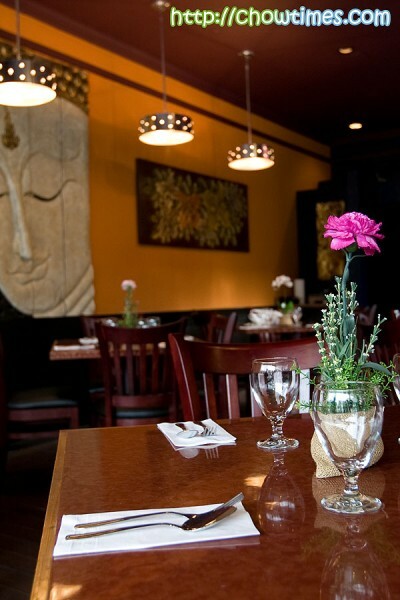 There is no doubt that Sonia wanted Tangthai to project the authenticity of Thai culture and cuisine. I must say we had a LOT of food! Sonia wanted us to try as many dishes so much that we had to ask her to stop! Sonia calls the appetizer above the Golden Triangle ($8). It is an deep fried egg wrapping stuffed with minced chicken, green peas, potatoes and carrot. The dipping sauce served is sweet chili sauce. Tastewise, it reminds me a lot of the curry puff I used to have except that this has a crunchy crispy wrapper around it. It was very nice as an appy. Sonia made sure that not only each of her dishes tastes good, it also had to look good. Tangthai’s appetizers were all garnished with food carvings. The other appetizers we had is called the Prawn Skirt ($9 for four). 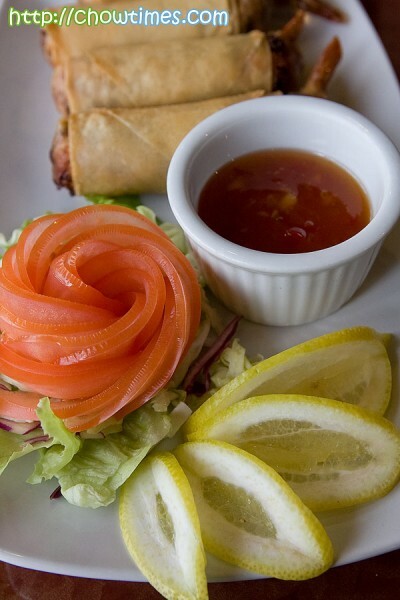 It is like a high end spring roll except that they use better ingredients. 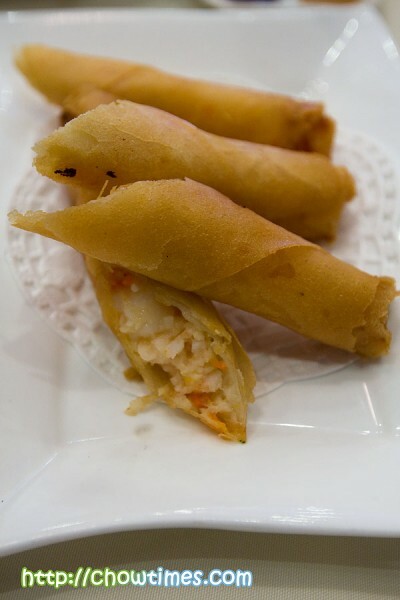 Stuffed with prawn, minced crab meat and water chestnut, it gives a very distinct texture. We like this one a lot. 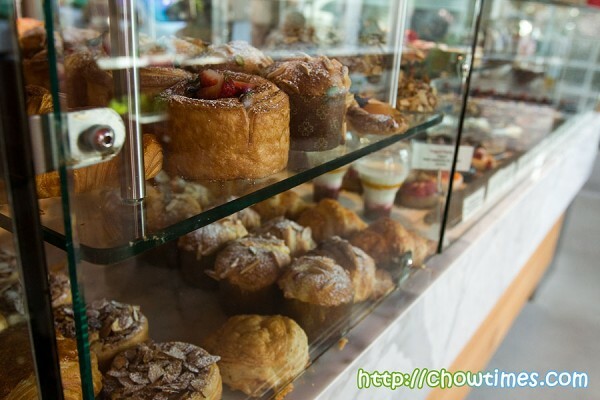 For those of you of follow chowtimes, I’m sure you’ll know me well enough that I try not to use the oven in summer. It’s hot enough already and we do not need the extra heat from the oven. 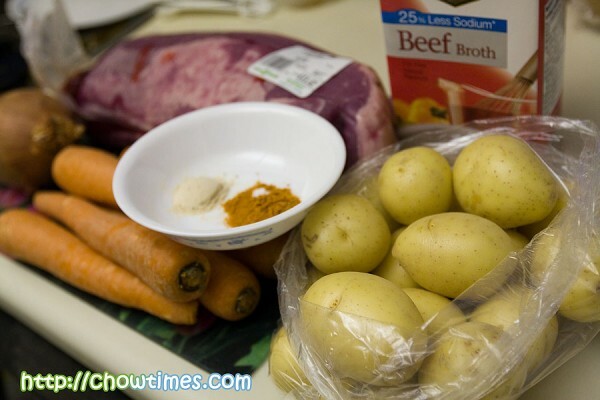 I made this Old Fashioned Beef Stew using the slow cooker. 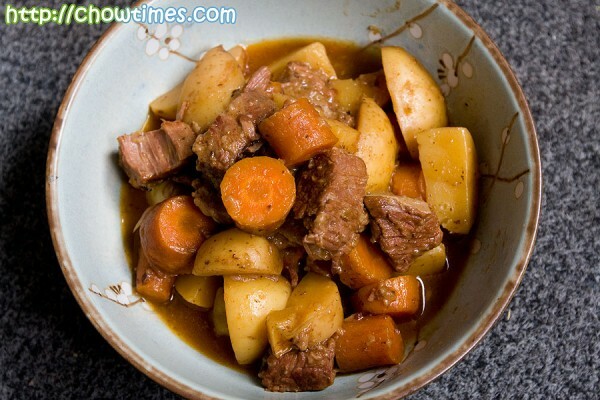 I find that this beef stew is slightly on the tangy side. We are not so fond of tangy meat but I’m ok with tangy dessert. The next time I’m going to make this again, I will omit the lemon juice. This is a very hearty meal. 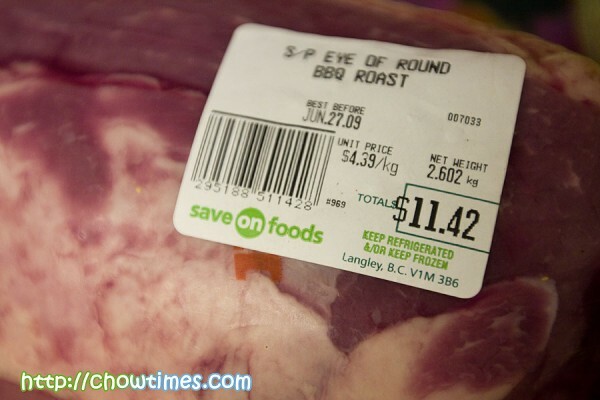 The main reason I made this beef stew is I found a great deal for eye of round roast at Save-On-Foods. This 2.6kg piece of meat only cost $11.42. 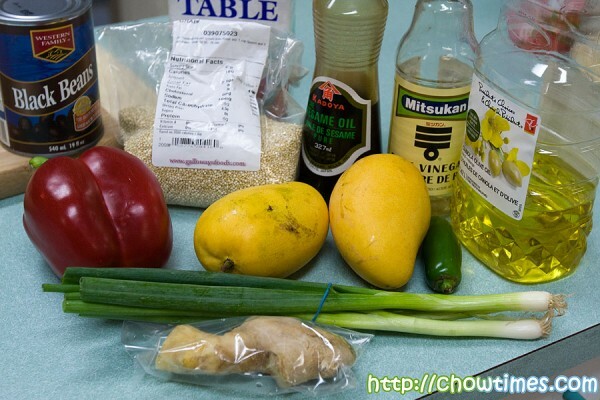 The last salad item in the South Arm Cooking Club for Seniors salad cook off was Quinoa Salad with Mango and Black Bean. 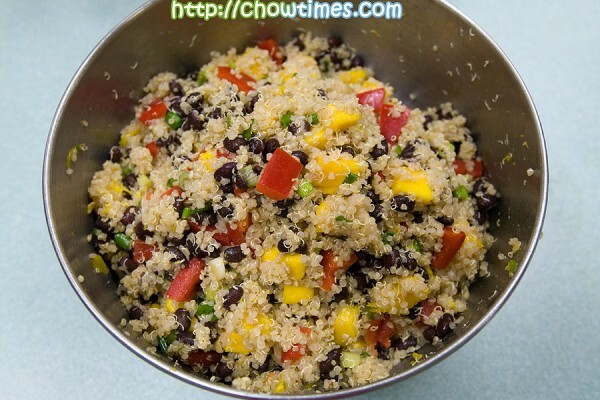 You can use quinoa as a substitute for rice, or mix it with chopped vegetables, nuts, or dried fruit for a salad. One thing to remember when using quinoa is to wash it thoroughly before cooking. This is because each grain has a naturally bitter coating called “saponin” that needs to be rinsed off. Jane (also a new member of the cooking club) and Karen prepared this salad which serves 6. This yellow and red high protein grain is easy to cook and has a moist, fluffy texture. This is first salad for the salad theme in the South Arm Cooking Club for Seniors. Sydney and Lorna made this salad besides the Island Pork Tenderloin. 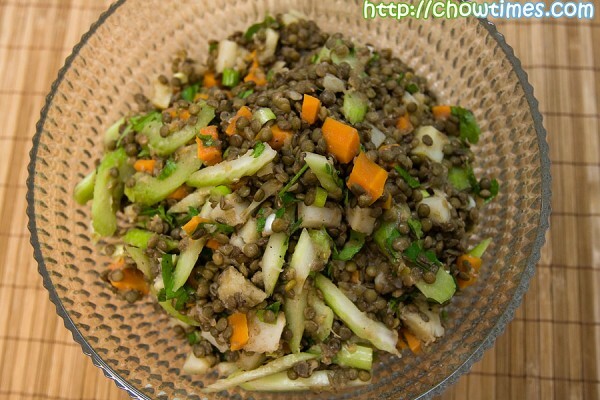 Lentil is a high in fiber and a great meat substitute for a vegetarian dish. Cooking the lentils for only 15 minutes preserves their shape and texture. 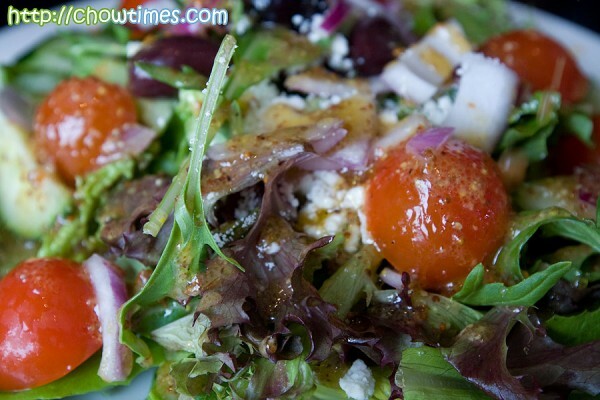 Tossed with a little vinaigrette, they make a tasty and satisfying salad. This recipe is adapted from Cooking Light and it serves 8. 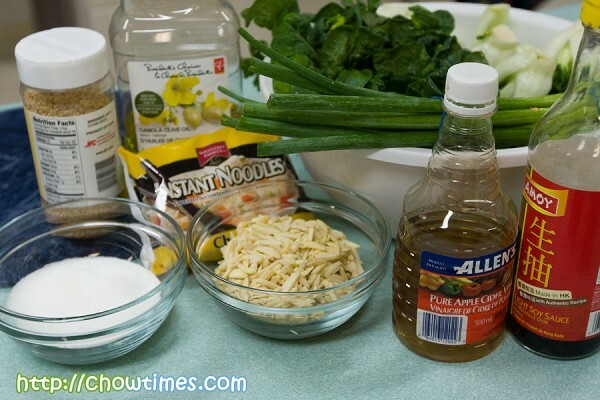 Among all the salad dishes made in the South Arm Cooking Club for Seniors, I like the Bok Choy Salad the most. Perhaps, it has the Asian flavour in it. Even Ben likes this salad. He had this for his lunch several times already after I got this recipe. Christina and Helmut made this salad together. Helmut is also another new member of the South Arm Cooking Club for Seniors. Eaten raw, bok choy is surprisingly tender. 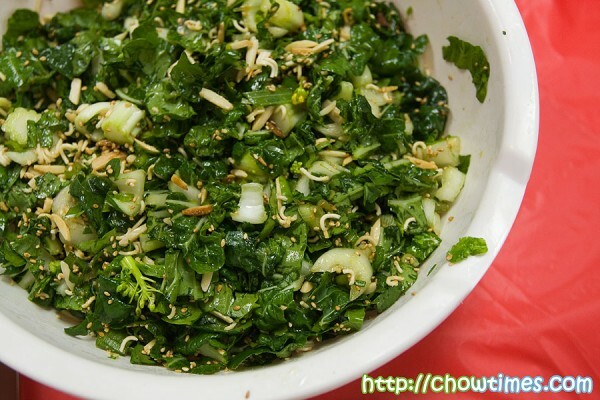 This crunchy, sweet salad is high in calcium from the leafy greens, sesame seeds and almonds. This is my first time eating bok choy raw. I usually stir fry them with garlic and oyster sauce. 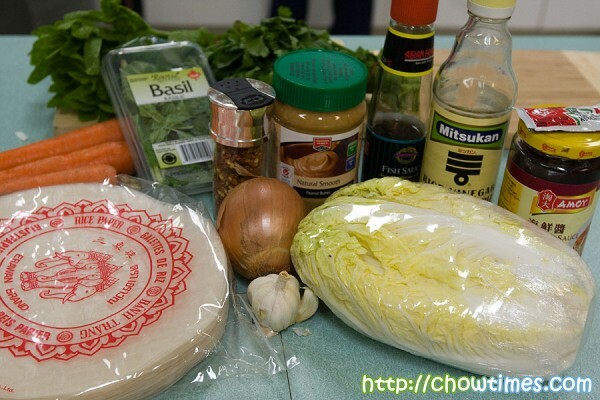 June and Ronald made this refreshing Peanut Summer Rolls in the South Arm Cooking Club for Seniors. Ronald is new to the South Arm Cooking Club for Seniors. June had to slow him down as he did his part like preparing the vegetables and sauce in a jiffy like an expert in the kitchen. 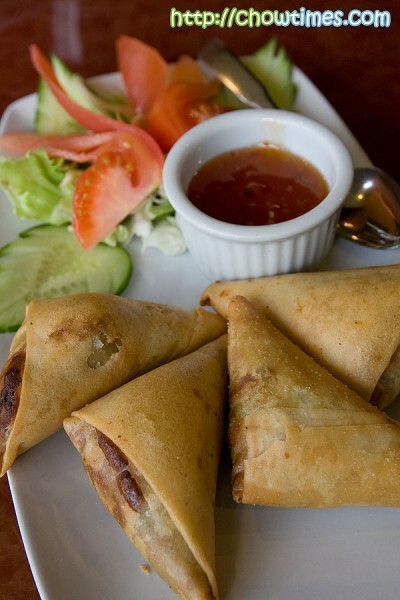 The Peanut Summer Rolls is a vegetarian dish. 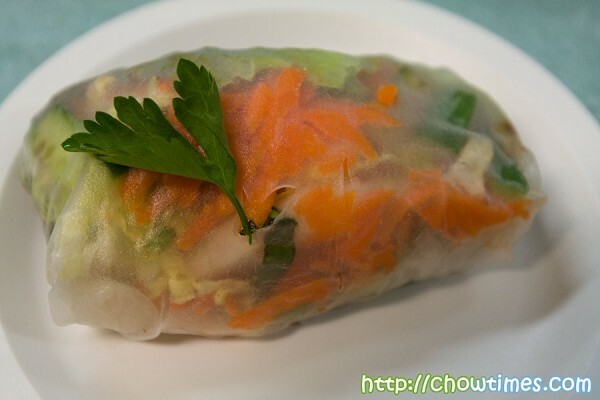 It uses the translucent rice paper wrap as commonly found in Vietnamese cuisine. 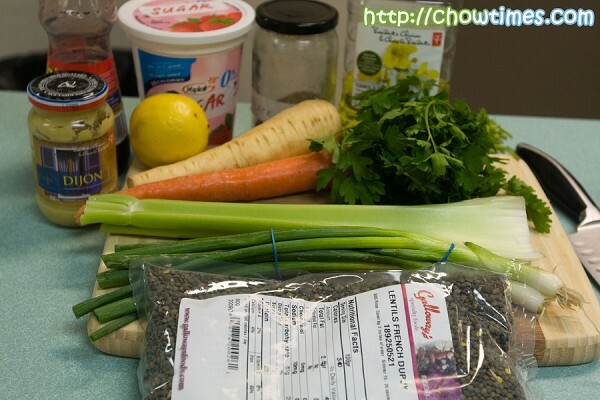 It is very refreshing and fragrant with the use of herbs like cilantro, mint and basil. 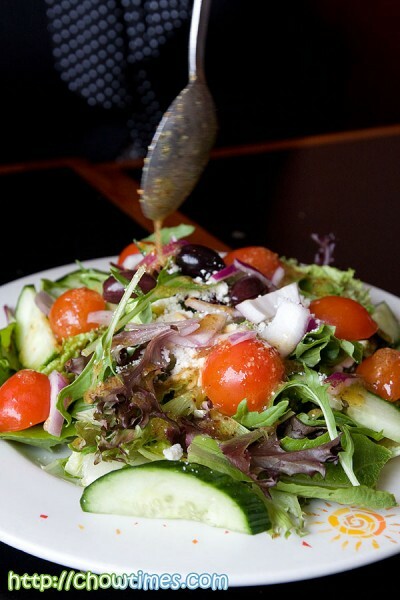 Summer is the time to enjoy all the fresh vegetables and lettuces. This recipe is adapted from Gourmet and it makes 4 rolls. The South Arm Cooking Club for Seniors celebrated the month of June with a theme of salad. There are 5 salad recipes in this meeting. In view of the number of salad we had, Charlene decided to cut short this original recipe of Island Pork Tenderloin Salad to just the tenderloin part only. Sdyney and Lorna partnered up to make this dish. This Island Pork Tenderloin is adapted from Gourmet. It’s a main course and it serves 6 to 8. 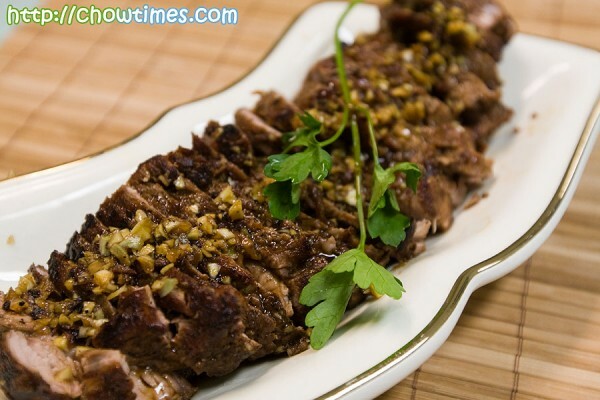 Charlene loves this recipe and whenever there is a sales for tenderloin, she will make this Island Pork Tenderloin. You can store the cooked tenderloin in the fridge for up to 5 days and it’s good with sandwiches or wraps. 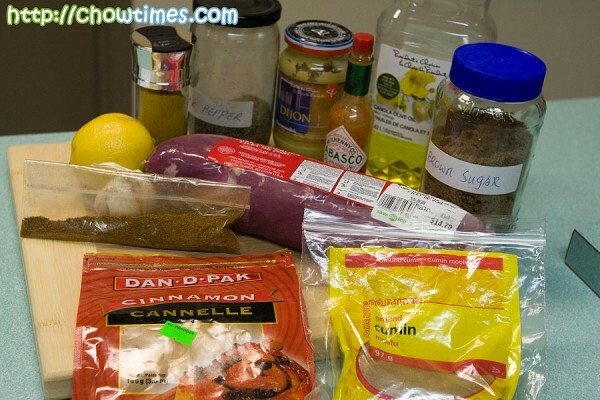 P/S: the Dijon mustard is not supposed to be in the photo above. The members of the Richmond Community Kitchens celebrated the end of the season by having dim sum at Shi-Art Chinese Cuisine at Richmond Center on No. 3 Rd. If I recalled clearly, there are members from the South Arm Community Kitchen, Gilmore Park Church Community Kitchen and the Caring Place Community Kitchen. The community kitchen will break for summer and resume in September. 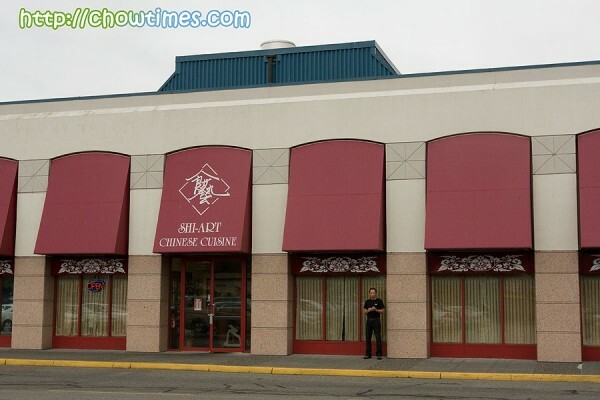 Shi-Art Chinese Cuisine is located at the front of Richmond Center facing No 3 Road, across Tim Hortons. You will not miss this bold red front entrance. When I took the group photo at the end of the meal, some of the members had already left. Next time, we’ll have the group photo taken first before we eat. 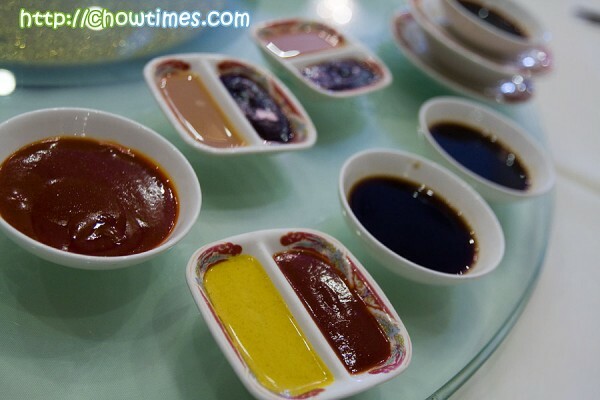 There were an assortment of sauces that were given to us even before the dim sum arrives. 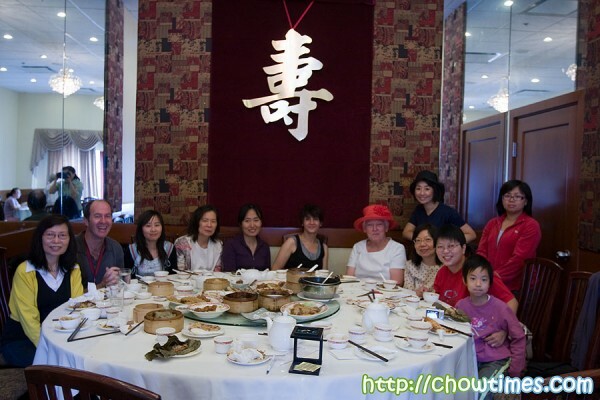 Fanny and Alice did most of the ordering as they are the experts in dim sum. Both of them are from Hong Kong. 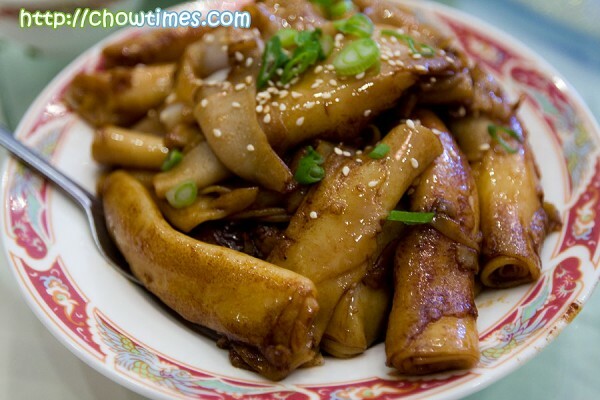 Fanny told us that Hongkies usually eat dim sum as brunch and they will take a long time to enjoy it. Here are the items we had and they were ordered in multiples. 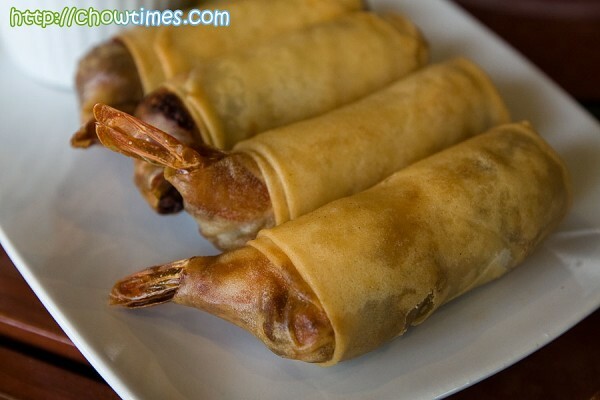 The Deep Fried Shrimp Spring Rolls are crispy on the outside and has tender shrimp fillings. 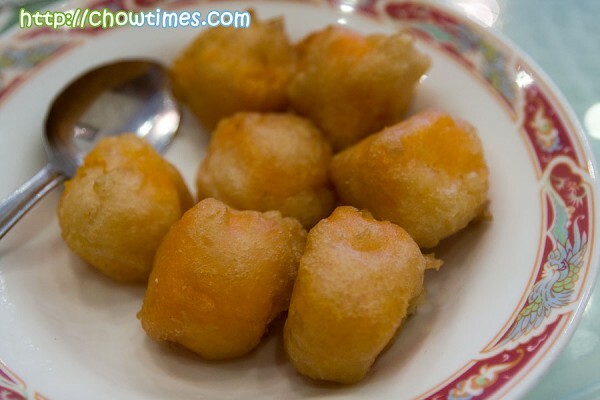 These Deep Fried Mango Milk Pudding are amazing. At first, we thought they are some deep fried sweet potatoes but it’s too tender to the bite. We like this a lot. It’s categorized under the Chef’s Special. 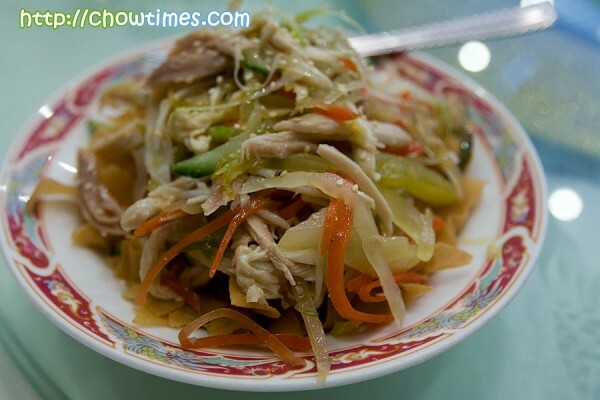 The Shredded Chicken with Sesame is another Chef’s Special. It’s crunchy and served cold. Pan Fried Stuffed Eggpant is also the Chef’s Special. 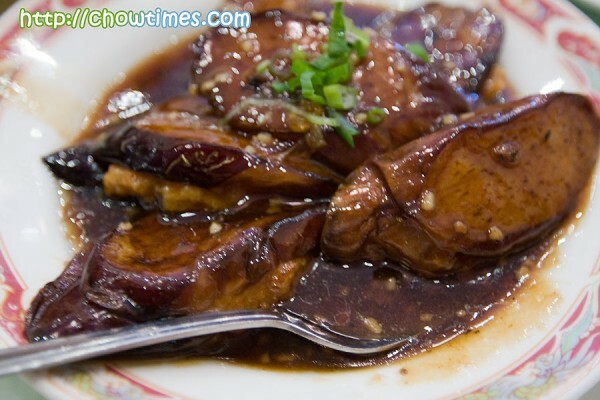 I love the soft textured eggplant in some garlic bean sauce. 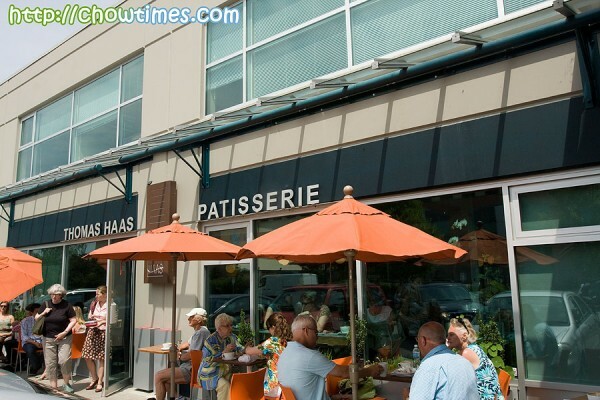 Angie from seasaltwithfood invited Polly and I for a get together at Thomas Haas in North Vancouver. Polly and I seldom venture so far for our cake meet although Thomas Haas has been on our list of places to visit, we have yet to travel so far for dessert. But for Angie’s sake, we made the trip to North Vancouver. 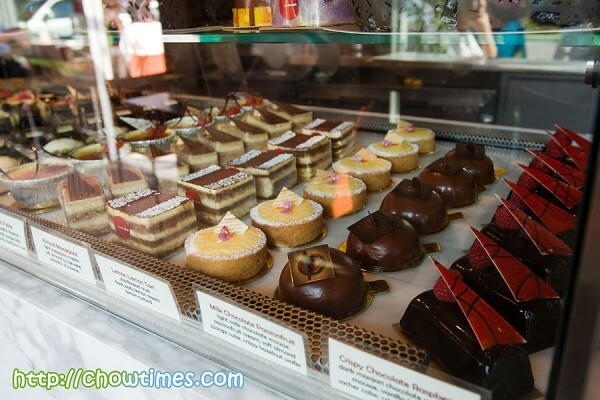 If I remembered clearly, our last cake meet with Angie was at La Petite France last November. Thomas Haas is located in a kind of industrial area with a private school just across it. It’s kind of out of the place for a dessert place but believe it or not, this is a very busy outlet. Customers were taking advantage of the great spring weather to enjoy their dessert at the patio. 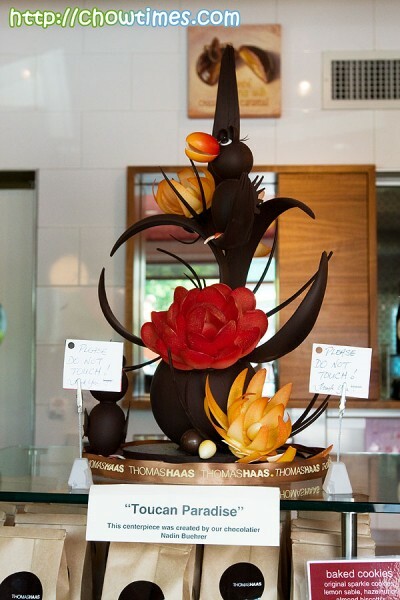 Thomas Haas is a chocolatier who believe that passion and integrity is the essence for true artisan craftsmanship. They showcase their art piece right at the front counter. 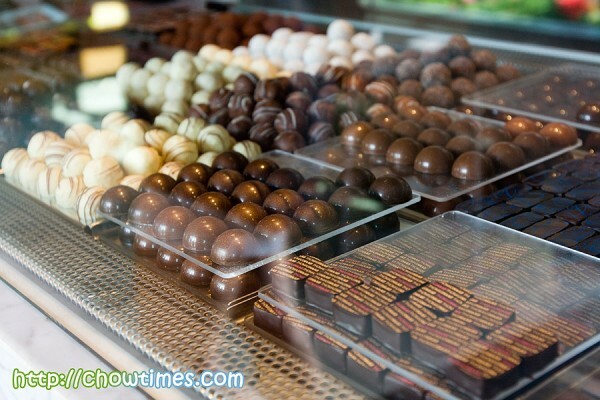 Being passionate with their chocolate, they have quite some varieties of truffles and chocolate pieces on their display counter. But we are not really into chocolate but more for their cakes. Rochelle showed us her own favourite salad. She calls this Peri-Peri Chicken Salad and it is simple to make and is tasty too. 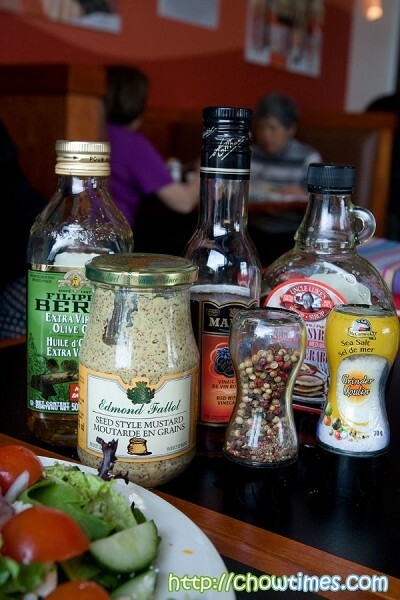 It is the dressing that makes this a salad with a kick. 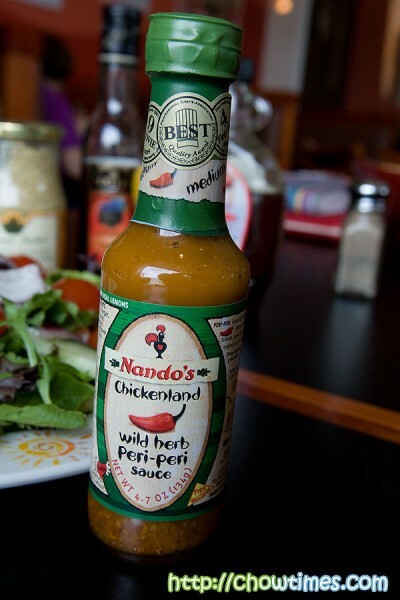 … the Nando’s Wild Herb Peri-Peri Sauce. You can get this from Nando’s or the local supermarket. 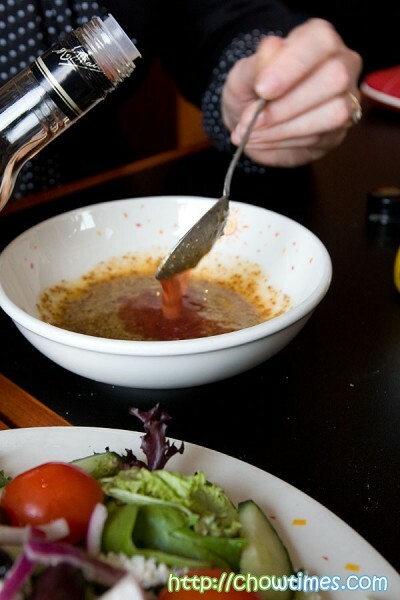 2 parts red wine vinegar — plus/minus as you prefer, feel free to play with it! The method is described in 2 words: Too easy. Just toss up the salad, chop the chicken over top, add dressing to taste — and enjoy!